I won't pretend researching Italian and Sicilian ancestry is easy. It isn't, but if you do your ground work in much the same way as you build a house, from solid foundations you will be off to a good start. Track those with the same surname or those that hail from the same place. Remember, in Italy women use their maiden name. Explore whether your place has been the focus of a thesis or other work. Become familiar with naming patterns - it is not fool proof but might help! Before you start researching in earnest start reading and discovering the country; read books about the history and culture, explore the religious festivals. By doing these things you are building your research foundations. You are exploring your ancestor's country, their religion and what was important to them. Did they enter through Canada and travel down into the United States? Look at the surname, is that the surname that left the homeland with? Yes, on occasions names changed in the new country. Play with the name. The sister of my grandmother, Rosanna Licata entered the US under her maiden name, despite being married to Giralomo Mancarella who was often recorded as Mangarella or Mancarelli. Explore the possibilities and record your positive and negative results. Perhaps the passenger list has your ancestor but the place of residence is simply recorded as Italy. What now? Look at others on the vessel. Whilst it is not absolute, it was common for people to travel together from a town rather than travel alone. Perhaps there was a migration scheme and a number of people from the same town went together. Once you have found them on the passenger list look to see who the person was they named as a contact. They are probably a relative or a friend of another relative. Remember Italians are all about family! If you read the post Pathway to My Sicilian Heritage you will see that I mention the place my family hailed from, a small place called Sutera in Caltanissetta. Sutera is a rural community which meant the pool of people that an individual could marry was pretty small. What I found is that the same surnames kept popping up as individuals married and upon researching further I would discover the same surnames appearing in my research. Ironically my maternal line does something very similar in England! Marrying family members or marrying into the family of in laws meant that what assets there were could be retained within an extended family group. Over a decade ago I discovered that Sutera had been the focus of a thesis by an academic in the United States. I ordered the book and eventually it arrived. I also contacted the author and asked her for any insights and did she have any material that had not made it into the published works. She did and since then we have corresponded several times. Explore that possibility. While Sutera is not large, it has been included in a number of books. Explore every possibility. The biggest challenge is the language unless of course you are fluent. I find researching my Sicilian ancestry takes me three times as long as my English research, but I also yield more information from records. FamilySearch has done a sterling job of getting records online, for some I cannot see the actual record, but a transcription. I can then search for the record on other sites and read it, using the established transcription as a way of checking and double checking my reading. I have been reasonably lucky and between three sites I can often research and fill in the gaps. FamilySearch - and there is also some great material in the learning center. Ancestry - this is linked to the Italia site, but I find also searching the complete Ancestry suite of sites especially helpful. I located a Licata relative in the US before I had actually any proof he had migrated because I searched by removing the surname completely and inserting Sutera. The relative was located because I specified Sutera, he was actually recorded as a Licala. Ancestors - Archives for Master Search - this is an amazing site and has material from 51 Italian state archives. It has many of the records that are on FamilySearch for Caltanissetta. Reach out to others that are either researching the same names or the same places or both. You never know where an email conversation will take you. Also consider a DNA test. Does a project exist? 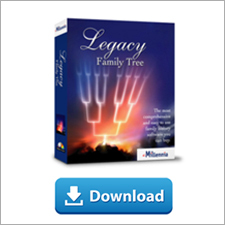 While surname DNA projects only exist at FamilyTree DNA (FTDNA) explore your options. Upload the results to Gedmatch. Italians are not especially interested in DNA, so it is not going to be a quick win, but test, because you never know! Look for a naturalisation record. Sometimes they can be a font of information. The naturalisation record for Giralomo Mancarella confirmed that his wife, Rosanna died in New York in 1922, despite Rosanna death being recorded in Sutera. From that information I was able to send for her death certificate. 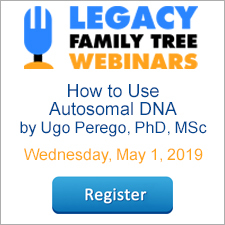 Learn more about your European ancestors in the webinar Tracing Your European Ancestors. Julie is the writer and developer of the successful "Book of Me, Written by You" program, which has been popular as a series of workshops delivered to both professionals and historians, in addition to undertaking research for some clients. Julie's book Tracing your European Ancestors is to be published in 2016 by Pen and Sword Books. When Julie is not working or researching her own ancestry she can be found reading, exploring the many National trust properties within the South of England or writing at her blog – Anglers Rest. Researching my Sicilian heritage feels totally different than my English heritage. It is so much more than taking my heritage back generation after generation. It is about identity, culture, religion and history. Understanding the elements of the lives my ancestors led. I have often given talks or written about my Sicilian heritage and genealogy and it was recently that I wanted a different image to accompany an article about my Orlando One-Name Study, which is registered with the Guild of One-Name Studies. On Facebook, there had been several genealogical bloggers that had used Scrabble boards to create something for their genealogical surnames. I was intrigued and located my childhood scrabble board. I started by using the surname of Orlando as that was the key surname of the article. It also is the surname that launches my paternal ancestral research. I then added in the rest of my Sicilian surnames, having a few Scrabble tiles left over I added once again the surname of Orlando and the place where my Sicilian families can be found, linked together by ONS, short for One-Name Study. It was the moment when the Scrabble board was complete, the surnames slotted in and the place of my One-Place Study, Sutera in Sicily was added that something occurred to me. These were my people. And they were in this place. I printed out the picture. This Scrabble board for reasons I cannot explain speaks to me. Each of those surnames connects to me and they all focus on a small town in the Caltanissetta region of Sicily. Truly, it is a powerful image and I cannot explain why. Researching in Italy and Sicily is not for the faint hearted. It is frustrating for a variety of reasons. When I first started the quest into my Sicilian heritage there was no internet. Everything was painstakingly researched at the place the family came from. There was no email. There were letters written with a pen and placed in an envelope with a stamp on. Those letters were perhaps responded to, if the local officials had time and could understand English. The best way was to write in Italian, but even that did not always yield a response. I live in England and I know a branch of my Orlando family from Sutera migrated to the United States, along with thousands of others who left Italian shores in search of a better life. I examined passenger lists and located my Salvatore Orlando. He left Sutera in 1913, but there had been migrants to the United States from Sutera since the early 1900’s. The passenger lists were filled with surnames from the Scrabble board, Licata, Nola, Magro, Malosso and Orlando. The quickest way to ensure that I did not revisit those early documents was to extract all the entries that listed Sutera as the place of origin or birth and to extract all Orlando references. Of course, at the time I was undertaking this process for efficiency, but I suddenly realised that I had two distinct and yet overlapping studies; a One-Place Study and a One-Name Study. I am defined by so much more than the three circles shown here. Of course, there are some people that were not tracked, simply because the passenger list gave the place of origin as Sicily or Italy. We are now in the modern genealogical age. The internet has shrunk the world to the size of a matchbox and I am grateful that my research can be attained easier, although there is so much not online. Researching Italian and Sicilian heritage is just as slow, just as problematic but there are things we can do that will enable us to be better family historians with a better understanding of our ancestors. Exploring our ancestors in their time and in their place. In 2007, I started to explore DNA and organised an Orlando DNA project at FamilyTreeDNA. Whilst the growth of the project has been slow I am pleased that the project exists and just recently I was contacted by someone who shares a match to the Amico family from Sutera with me. If you have non-Anglo ancestry why not consider looking at your research from the point of view of a surname study or a one place study. Try to look at the names and places as I did with my Scrabble activity. Find ways to connect with your ancestors. Learn more about the places they came from and you'll be on your way to understanding your heritage and bringing those surnames to life. Have you researched your non-Anglo ancestors? Share your stories with me in the comments!